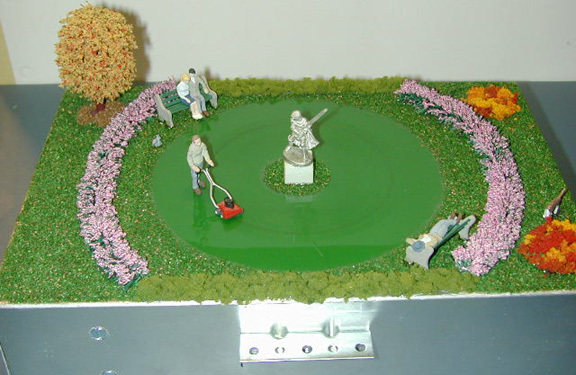 The figure moves in a circle appearing to mow the lawn. He then reverses at a pre-set time, turns around, and goes in the opposite direction. The "cut" area appears shorter than the surrounding lawn. Can be landscaped as a realistic park or playground scene. May be customized for use in front of or behind a home, or anywhere a lawn is needed. Easy installation.